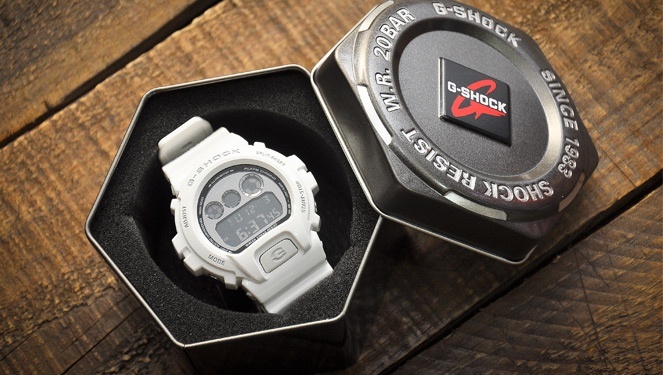 A G-shock Watch That Show Off Your Filipino Pride! The Shock the World Manila watch is the next thing we should all covet! G-Shock watches have been a big part of my childhood—it being the most-covetable timepiece during my teen years and it’s nice to know that until now, that doesn’t fade. Casio G-Shock still stands for the same things—durability, toughness, practicality without compromising style. But now it gets a much bigger upgrade, in my opinion that is, because it comes in a design that show off my Filipino pride. Think of an all-white G-Shock that has the colors of the Philippine flag, doesn’t that make it more covetable than it ever was? 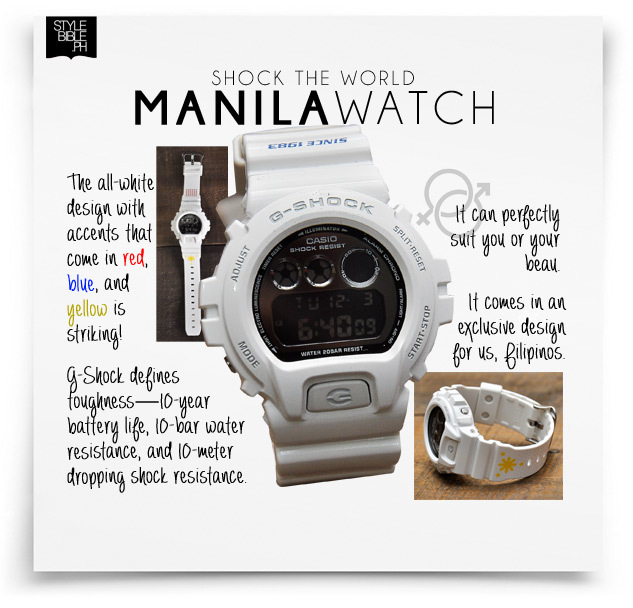 The Shock the World Manila watch will be exclusively available in the Philippines.